Sheena Fisher grew up in Humboldt Park, but when the time came last year to buy a house for her family of four, she already knew it wouldn’t be as easy for her to afford to buy there as it was for her parents three decades ago, long before it became one of the city’s fastest-gentrifying areas. Fisher, who works in marketing for a large retailer, ultimately found a four-bedroom house in her price range, newly rehabbed with stylish tile and flooring and a homey front porch. She paid $95,000 for the house in November, and the foursome moved into their new address in Englewood. Yes, Englewood, a neighborhood that in recent decades has been among the city’s hardest-hit by foreclosure, crime, disinvestment and population loss. More recently, it’s been a focus of investment, with a Whole Foods, a Starbucks, a new Kennedy-King College campus and, under construction now, a new STEM-focused public high school. “It looks like things will keep getting better in Englewood in the coming years,” said Fisher, who grew up hearing relatives’ stories of the good old days when Englewood was a thriving, solidly middle-class section of the city. 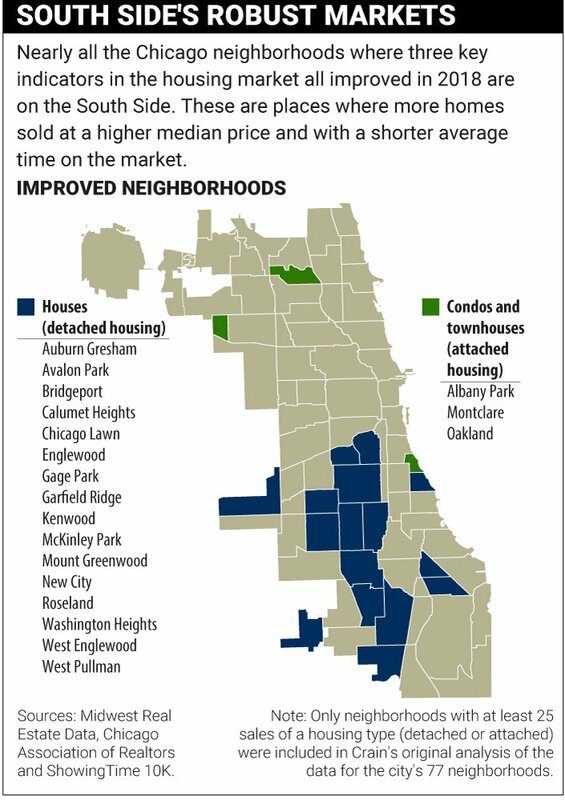 Fisher is not alone in buying a home on the South Side-based on a mix of affordability and hope. In 2018, nearly all the most vibrant real estate markets in the city were on the South Side. These are places where three key indicators of a real estate market’s health were all good: more homes sold, at a higher median price and in a shorter average time on the market, than the year prior. As many North Side neighborhoods slowed under an excess of inventory or fast-rising prices that caused buyers to tap the brakes, many South Side markets accelerated in 2018. They’re shown on the map. 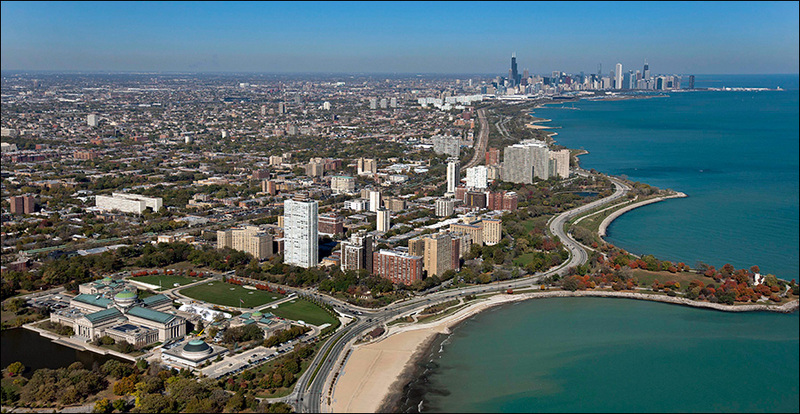 Crain’s created the list from year-end home sales reports compiled by Midwest Real Estate Data, the Chicago Association of Realtors and Showing Time 10K. Because they report data on attached and detached housing types separately, the list of 77 neighborhoods doubles into a list of 154 markets. As the map at the bottom of this story shows, only 19 of those had “go” lights flashing on all three attributes.